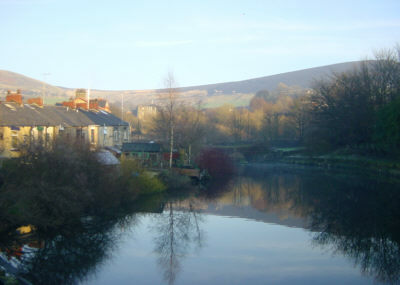 The area of Mossley to the east of the River Tame was historically part of Cheshire and is known as Micklehurst. 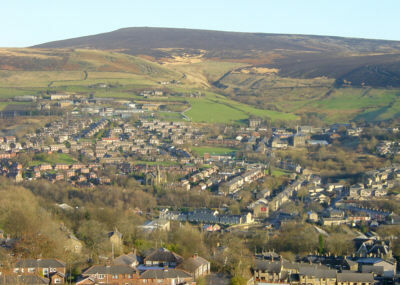 Looking across Micklehurst from Mossley Cross. 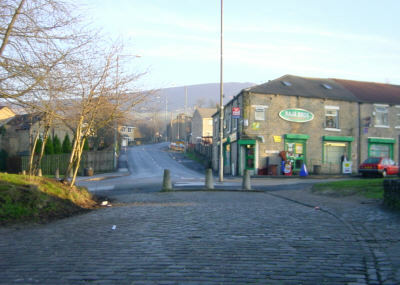 Micklehurst Road, with the New Bridge Inn on the left. 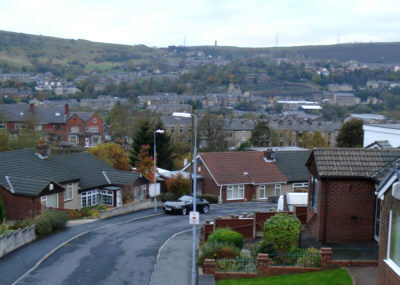 Richmond Crescent, Mossley, looking towards Staley Road, with Hartshead Pike on the skyline. 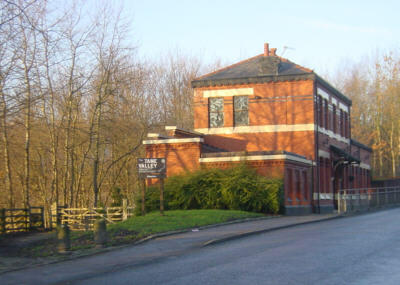 The former Micklehurst Station building on Station Road, Micklehurst. 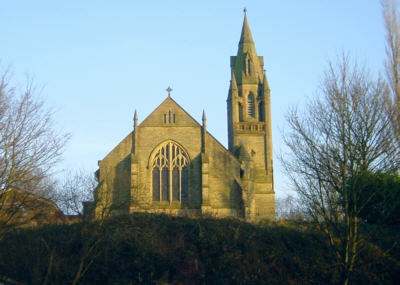 All Saints Church, Micklehurst, now suffering dry rot and awaiting demolition. 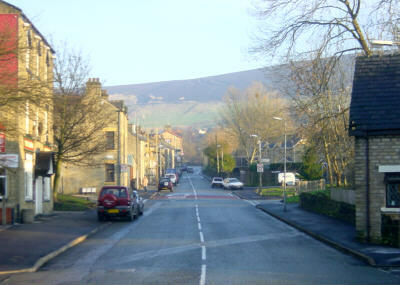 Looking up Staley Road from Bottoms. The Mill Pond between Micklehurst Road and Staley Road that once served Brunswick Mill. 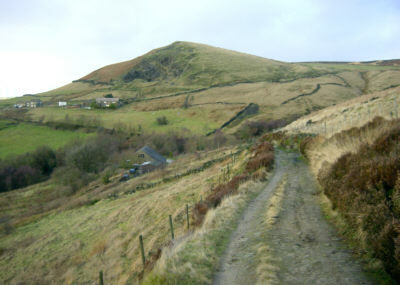 Noonsun Hill, seem from the ancient trackway that runs along the hillside above Micklehurst.